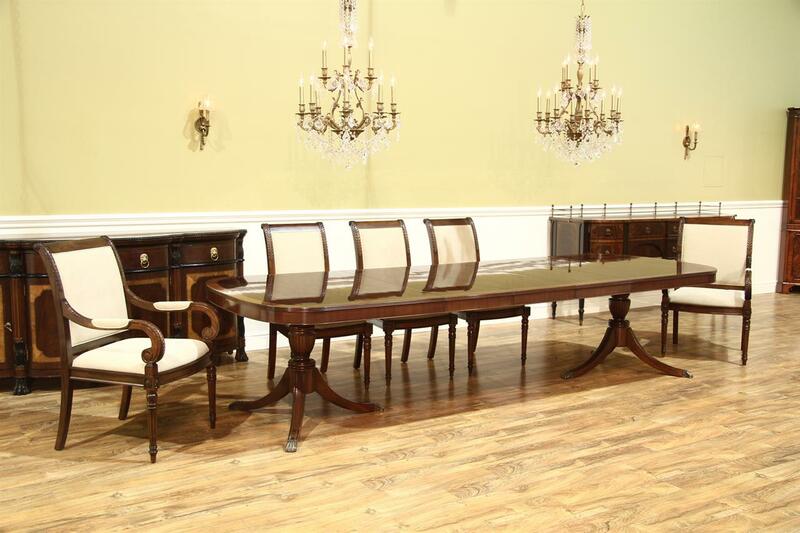 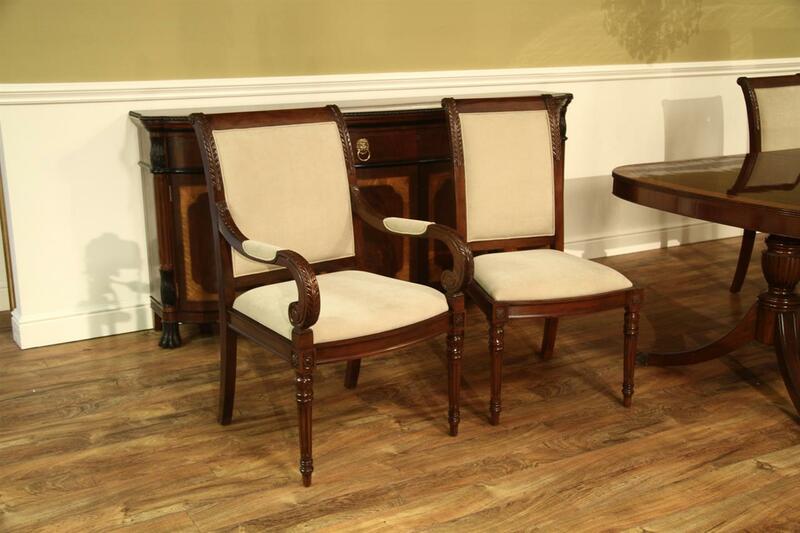 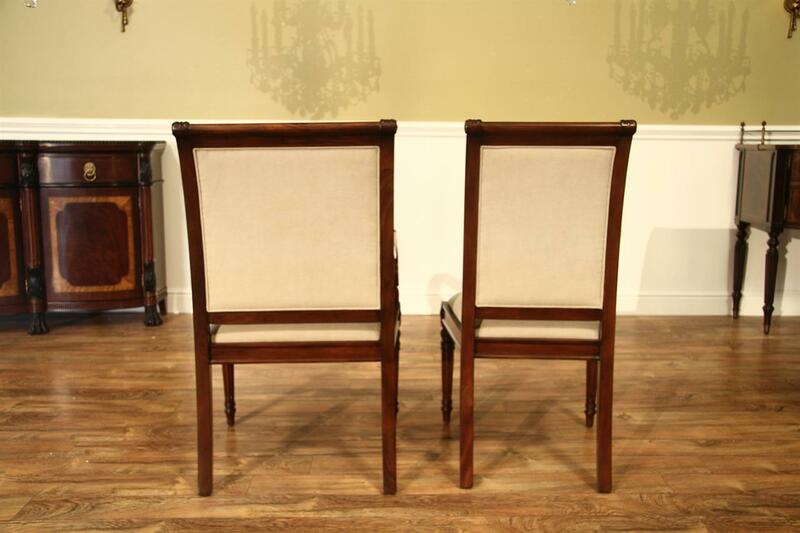 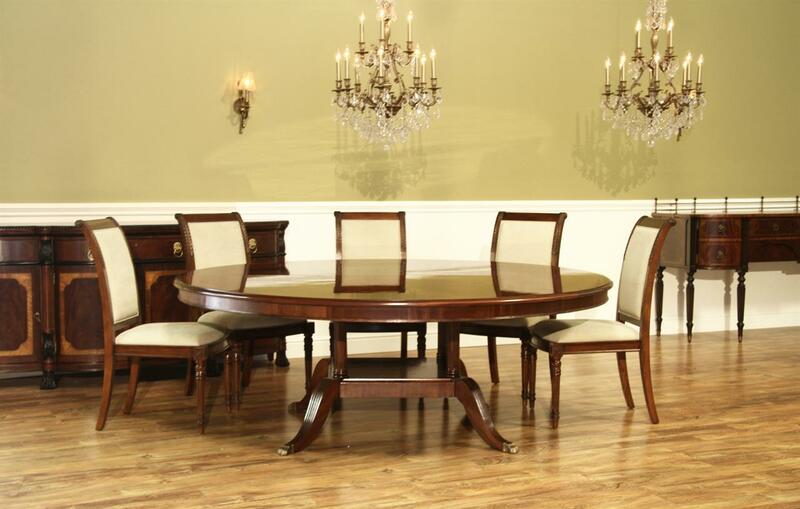 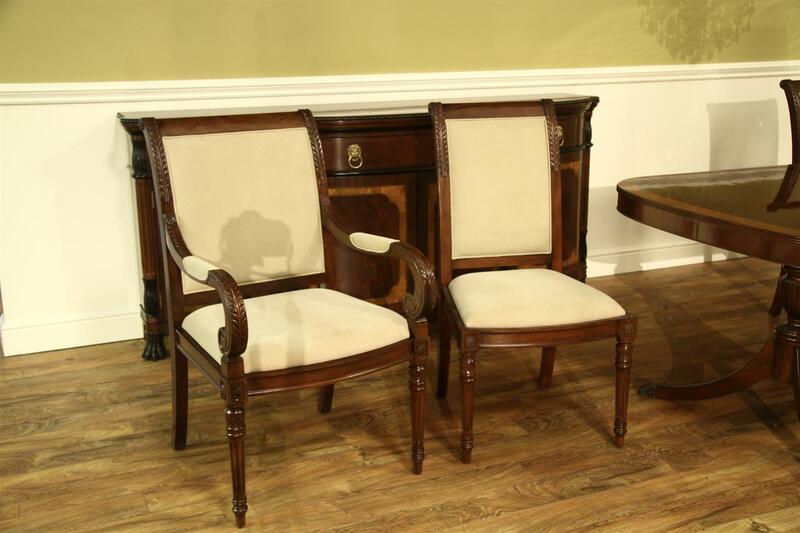 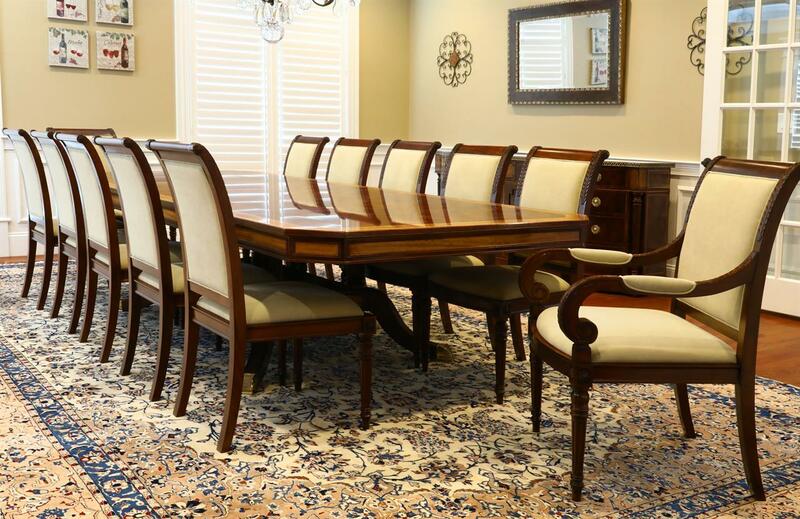 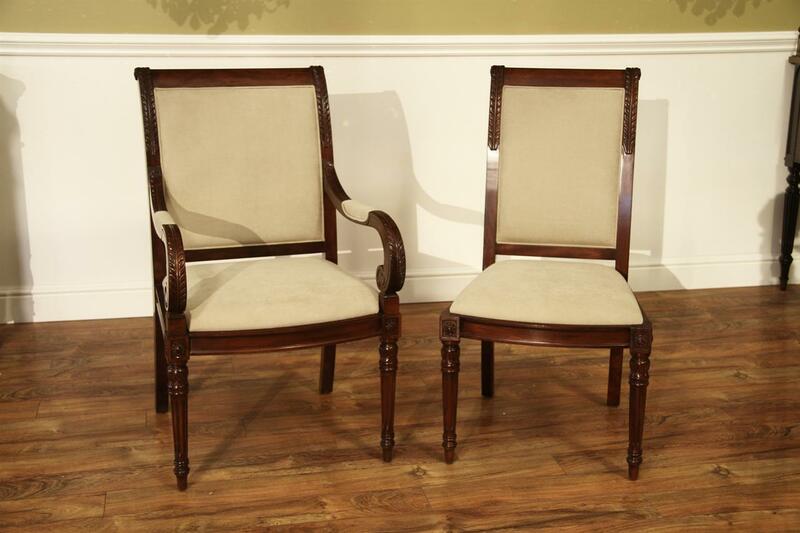 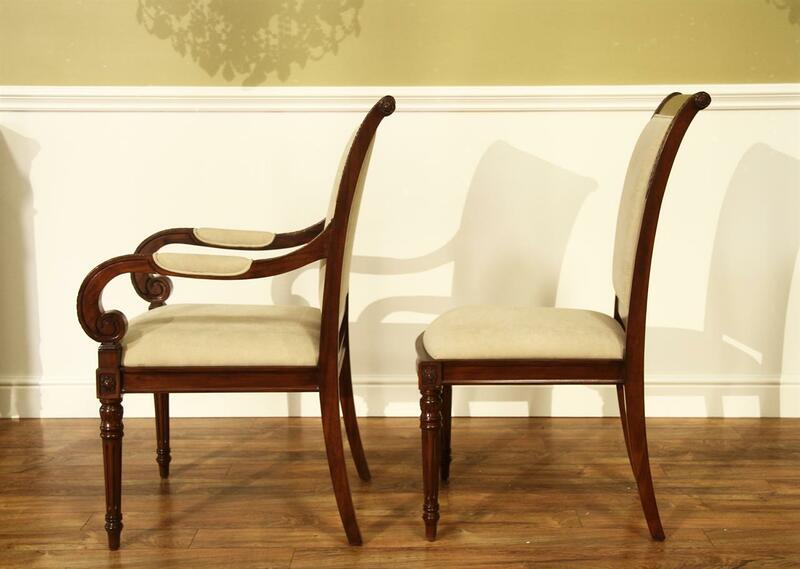 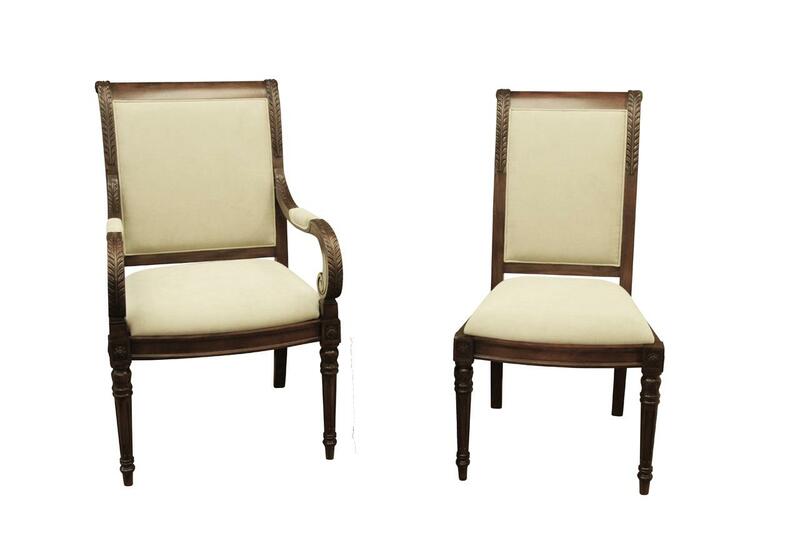 High end solid mahogany French style dining room chairs. 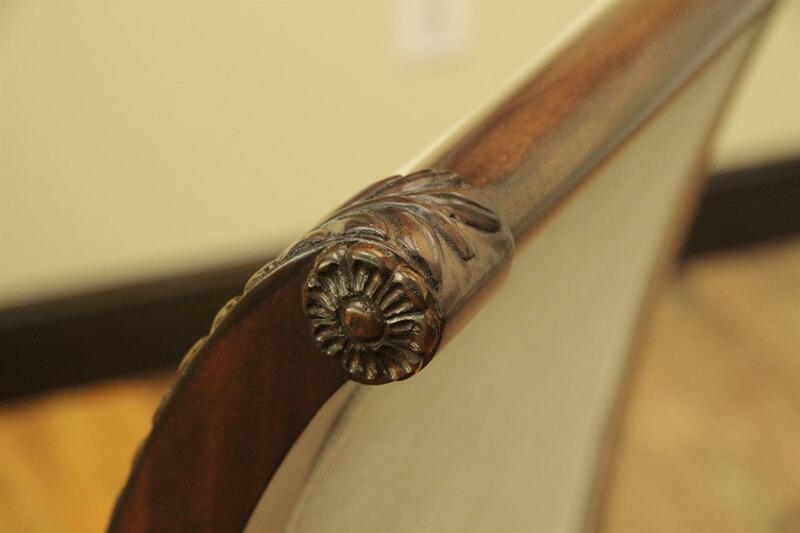 Acanthus leaf carved rails and arms with European style fluted legs. 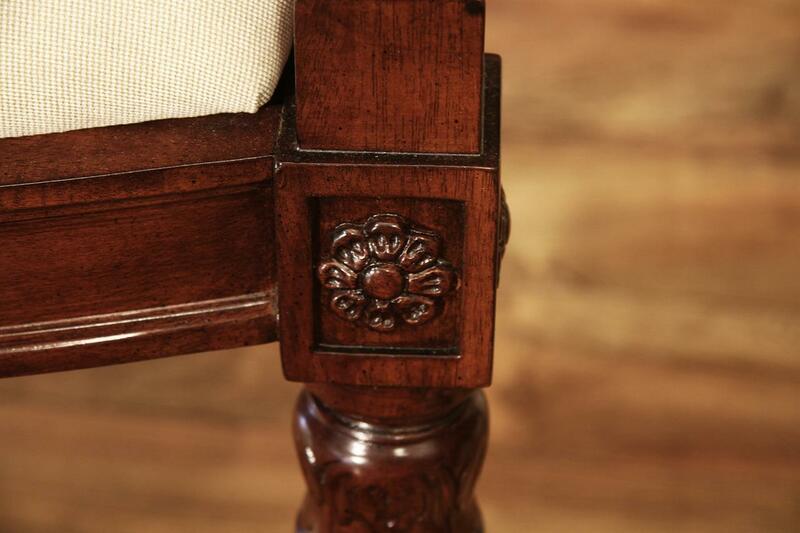 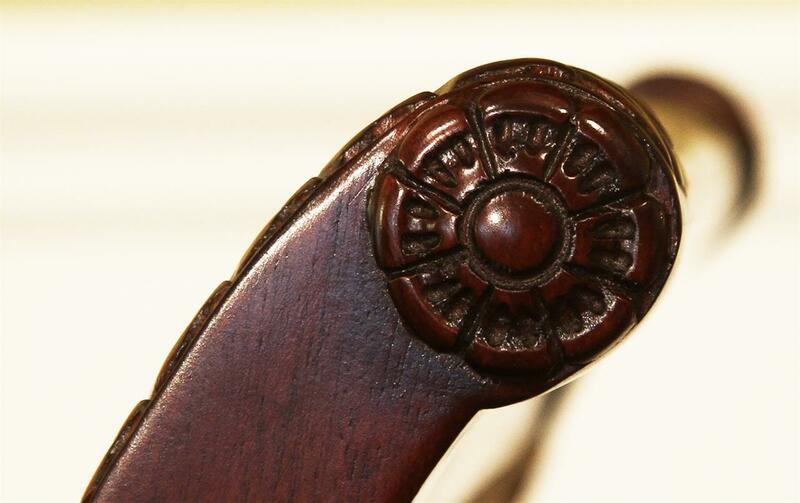 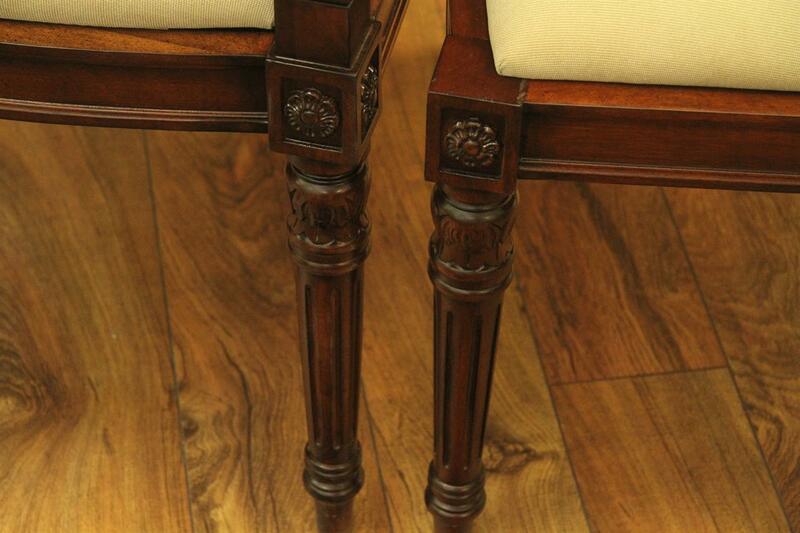 Rosette carved details add the finishing touch to these historic chairs. 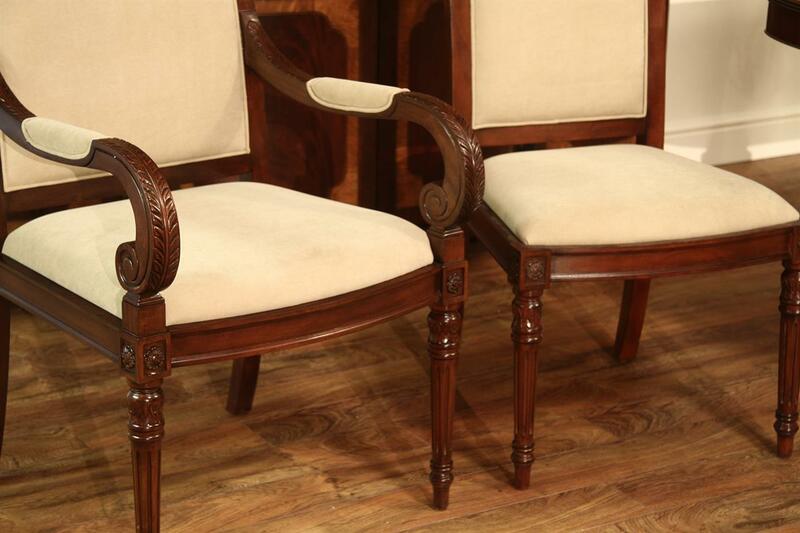 These chairs are made exclusively for our store. 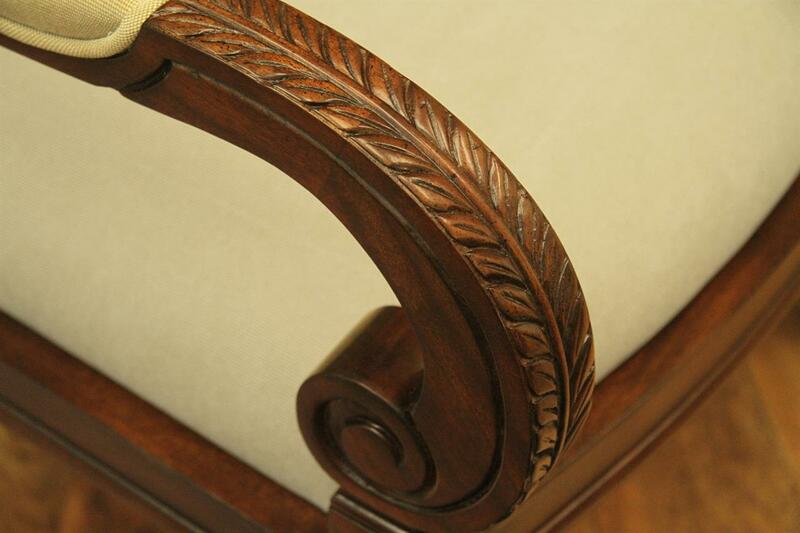 We invested a lot of time into this chair to get it as comfortable as possible. 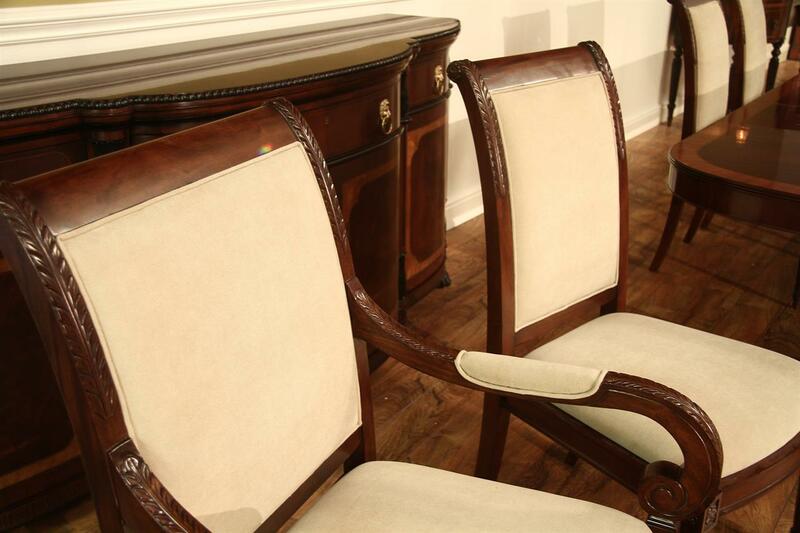 Every design aspect and detail has been worked out to bring you the best chair possible in its class. 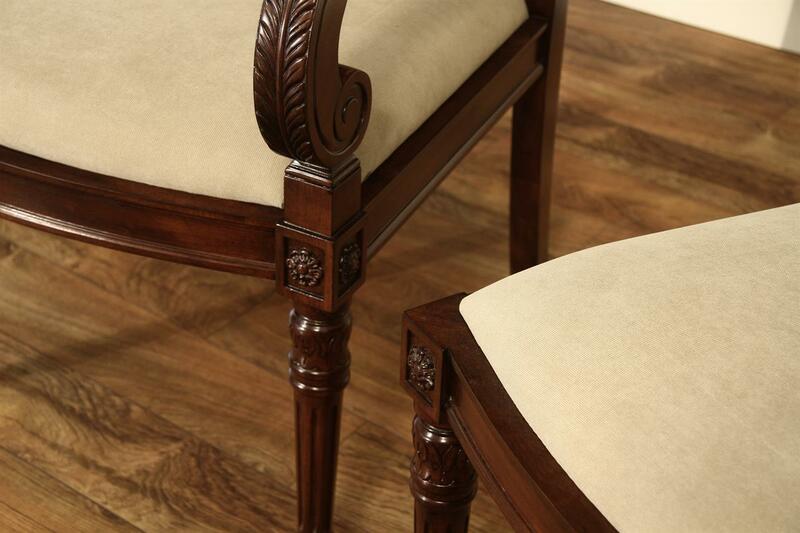 We upholstered this chair with a family friendly stain-proof engineered fabric which will coordinate with most spaces. 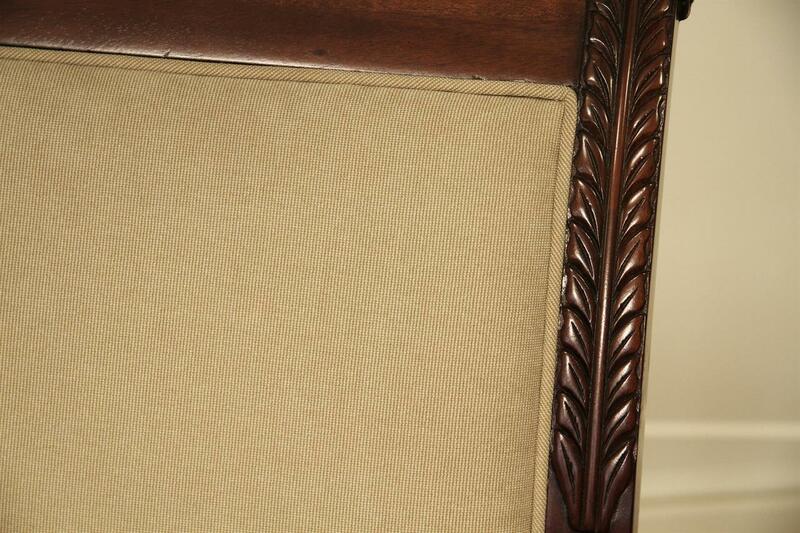 The fabric is very soft and comfortable to the touch. 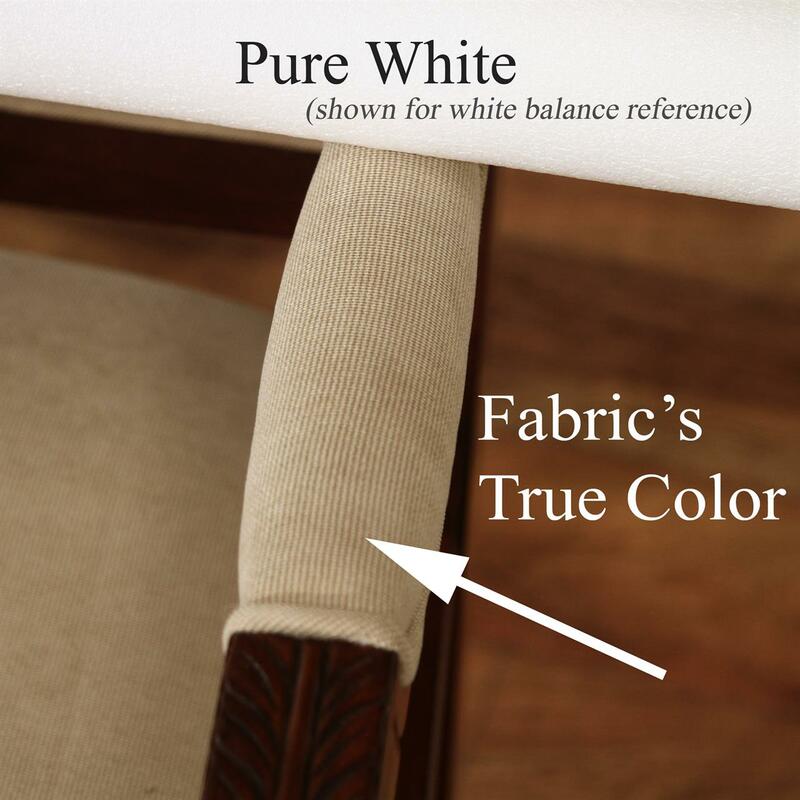 It is a neutral fabric that some folks would call "linen". 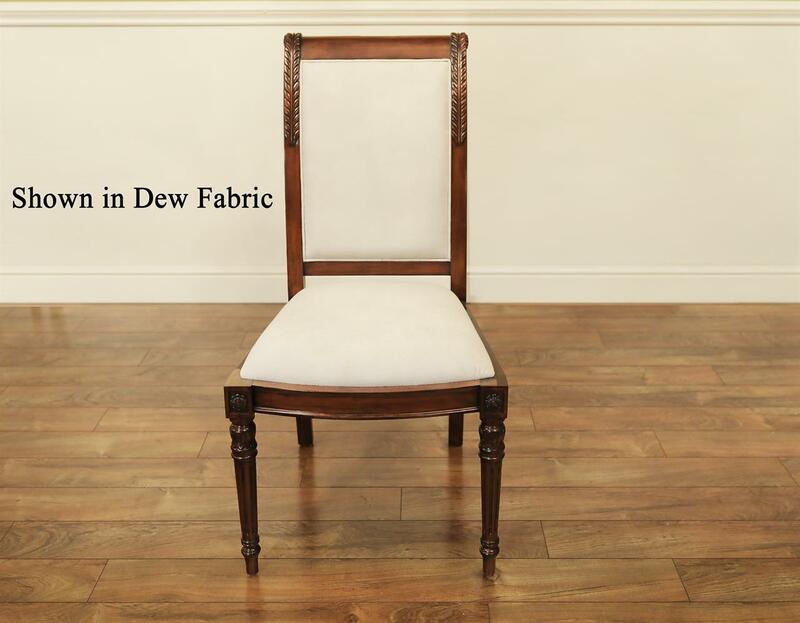 You cannot stain this chair. 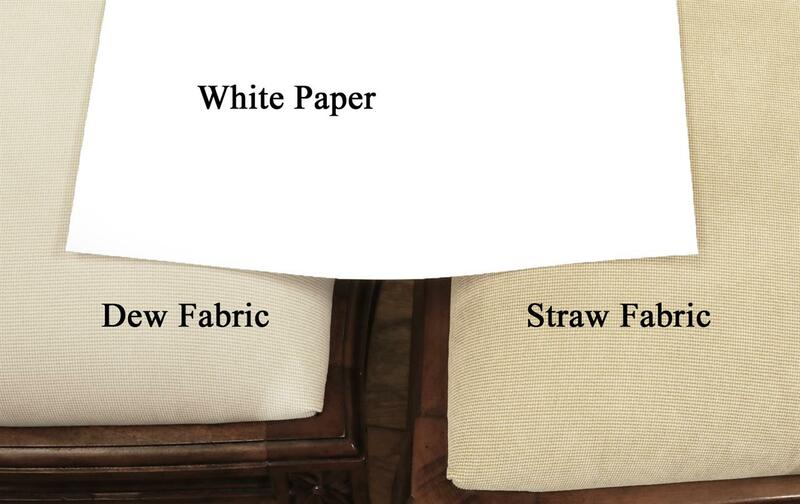 With the exception of a permanent marker, nothing will spoil this fabric. 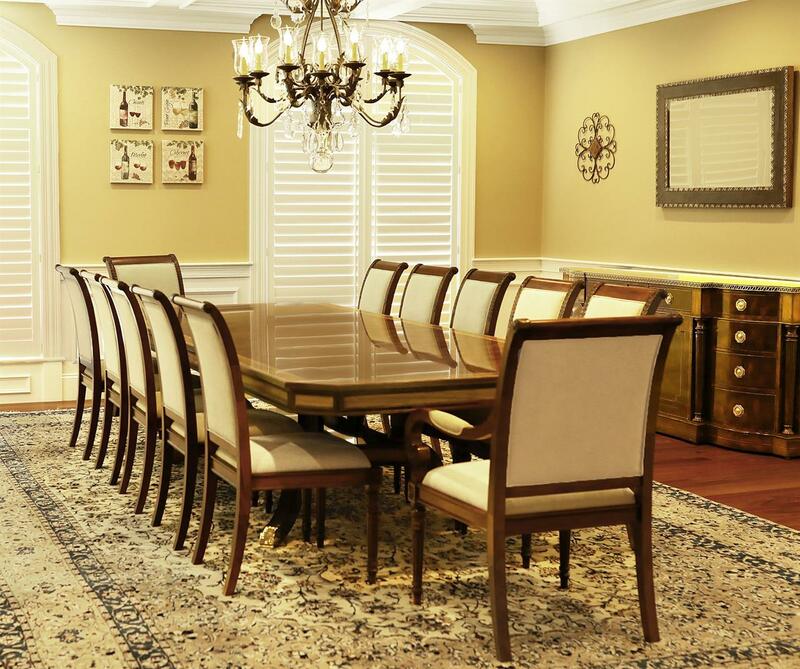 It will wash clean every time. 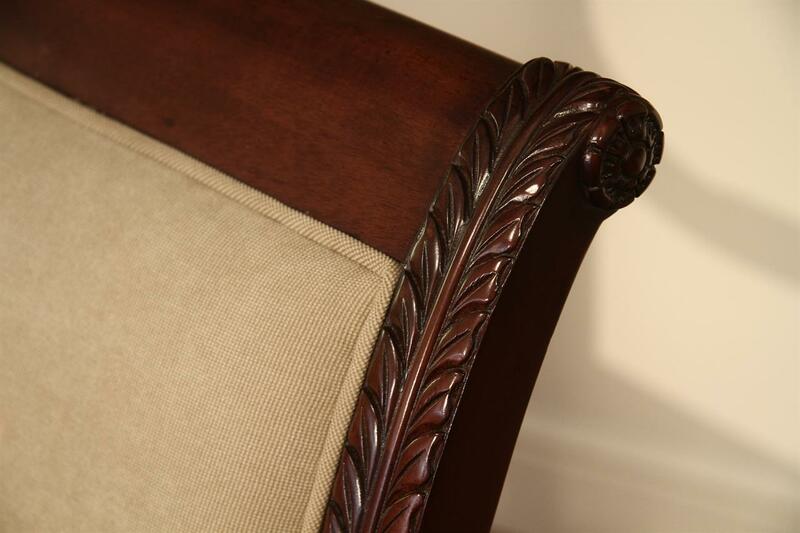 The fabric is heat treated and it will never need to be treated again to restore its resilient stain proof properties.